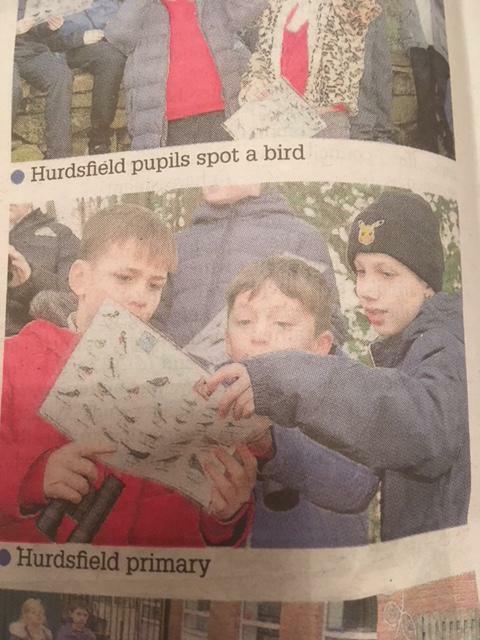 Hurdsfield's in the Macclesfield Express AGAIN - feeling proud. 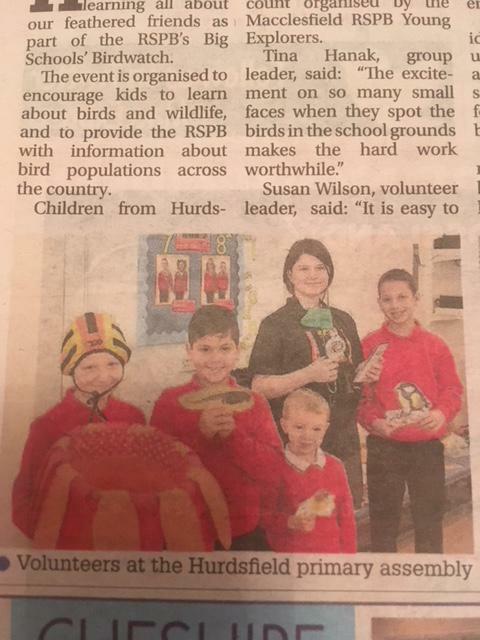 Hurdsfield Primary have made the Macclesfield Express again following our annual RSPB Bird Watch. 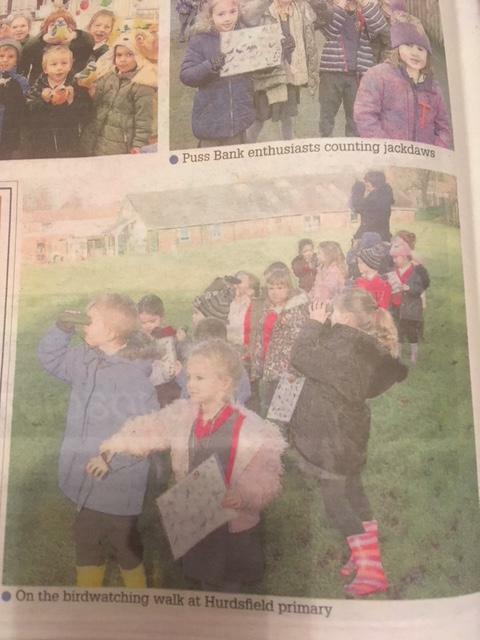 Thirteen species of birds were found on our school field and the children had a great time finding out about local wildlife. 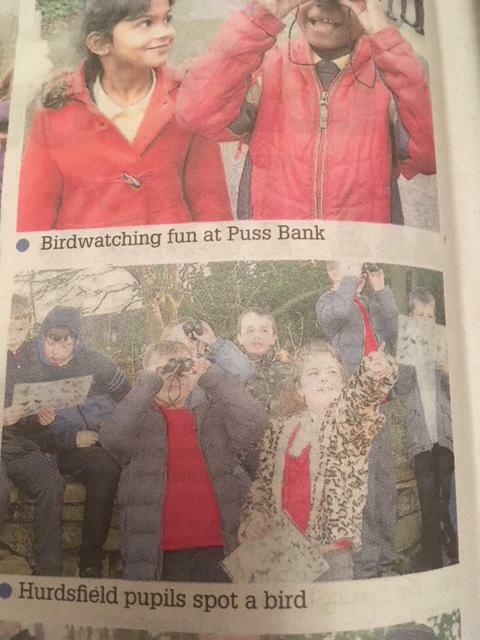 Check out the pictures or last week's Macc. Express to see our school in action!